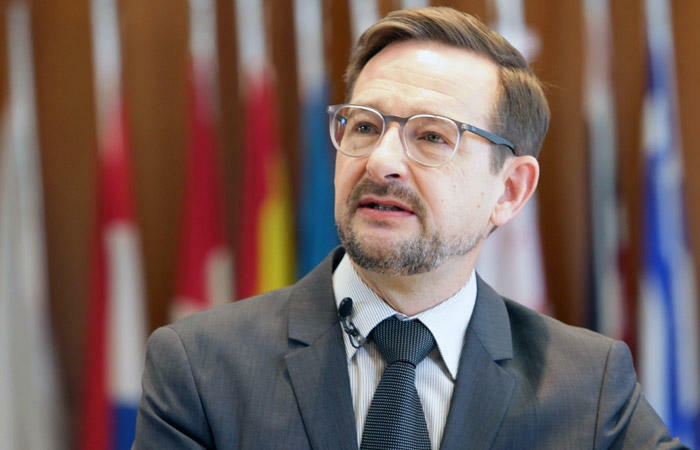 OSCE Supports Minsk Group's activities on the settlement of Nagorno-Karabakh Conflict, OSCE Secretary General Thomas Greminger told journalists in Baku Sept. 12. According to him, the mediators are making efforts to resolve the conflict. Nevertheless, the parties of the Nagorno-Karabakh conflict should have political will in order to achieve progress, the secretary general added. Greminger noted that the purpose of his visit to Baku is to study potential for further development of relations between Azerbaijan and the OSCE. Azerbaijan as an active OSCE member makes an important contribution to the activities of the institution, including the establishment of dialogue and political, military issues, Greminger said adding that, OSCE highly appreciates this and believes that there is potential for further development of cooperation.